To honor the 59 victims of the shooting that took place at an outdoor country music festival, the iconic neon lights of Las Vegas went dark. Instead, hundreds of mourners stood outside for a candlelit vigil on the corner of Sahara Avenue and Las Vegas Boulevard, according to The Independent. The High Roller, a 550-feet tall Ferris wheel, was distinctly lit in red, white and blue, standing out in the darkness. The shooting that happened on Sunday not only claimed 59 lives, but also injured over 500. Other famous landmarks around the world joined Las Vegas in solidarity. 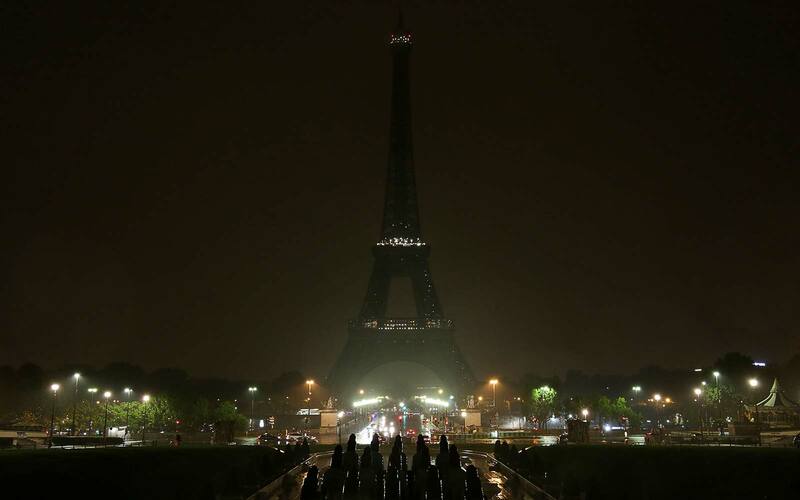 In Paris, the Eiffel Tower also turned off its famous lights in support of the victims. There was also an attack outside a train station in Marseille around the same time as the shooting. And in New York City, the Empire State Building also went dark. Instead, an orange halo was lit at the top of the building to raise awareness for the victims of gun violence.